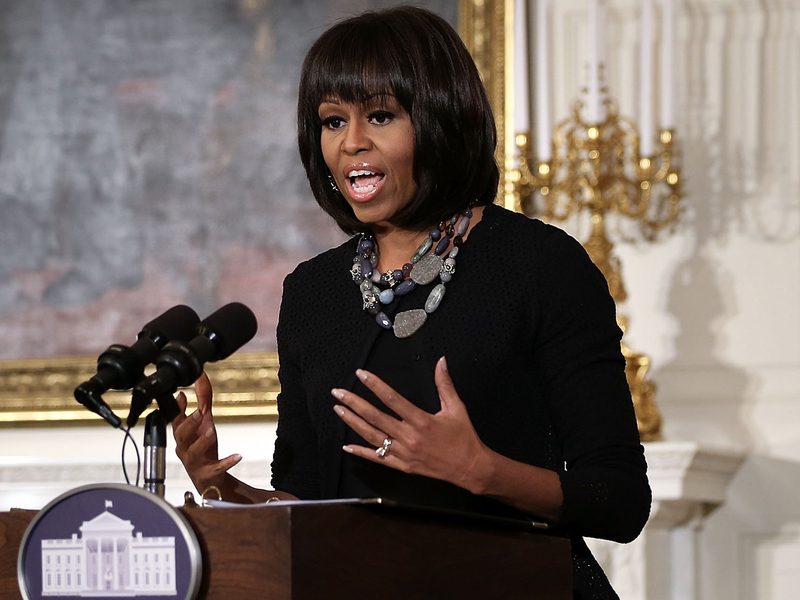 WASHINGTONFirst Lady Michelle Obama says five media companies and a social media website are working together to make it easier to find nutritious recipes. Conde Nast, Hearst Magazines, Meredith Corp., the Food Network and Time Inc., have identified more than 3,000 recipes that meet federal nutrition guidelines that support USDA's MyPlate for how much fruit, vegetables, protein and grains should be on a person's plate at each meal. The MyPlate campaign, which replaced the food pyramid in March 2012, calls for half of your plate to be filled with fruits and vegetables. Other tips that are part of MyPlate include switching to skim or 1 percent milk, making at least half your grains whole, varying protein in food choices, choosing foods and drinks with little to no added sugars, and looking out for sodium. The companies are promoting the recipes on their most popular cooking websites, and nearly 1,000 have been posted on a new page on the social networking site Pinterest. Sites collaborating in the campaign include Allrecipes.com, Epicurious.com, FoodNetwork.com, GoodHousekeeping.com.